Born: 2 October 1867, Dublin, Ireland. Died: 10 December 1957, White River, South Africa. James Stevenson-Hamilton, "father of the Kruger National Park", was the eldest son of Colonel James Stevenson and his wife Eliza Hamilton. Through his mother he inherited a large family estate, Fairholm, south-east of Glasgow. In March 1887 he entered the Sandhurst Royal Military Academy, passing out early in 1888. In May that same year he came to South Africa as a second lieutenant in the Sixth Inniskilling Dragoons during a Zulu uprising, remaining for two years. In May 1898 he joined a private expedition led by Major A. St Hill Gibbons to Barotseland (in eastern Zambia). From Chinde, near the mouth of the Zambesi, they travelled upstream to its confluence with the Chobe River. From there Stevenson-Hamilton travelled up the Kwando River to near its source and surveyed the river system north-east of Lialui. He returned eastwards over the Batoka highlands to the Kafue-Zambesi junction and from there downstream to reach the east coast at the end of 1899. The journal he kept during the exploration was later edited by J.P.R. Wallis and published as The Barotseland journal of James Stevenson-Hamilton, 1898-1899 (London, 1953). After this period of adventure he saw active service during the Anglo-Boer War (1899-1902), for which he was awarded the Queen's medal (with 5 clasps) and the King's medal (with 2 clasps). At the end of the war he attained the rank of lieutenant-colonel. In 1898 the government of the South African Republic (Transvaal) had proclaimed the Sabie Game Reserve, the first game reserve in Africa, comprising a region along the Mozambique border between the Crocodile and Sabie Rivers. After the Anglo-Boer War the British authorities of the Transvaal Colony re-proclaimed the reserve and in July 1902 Stevenson-Hamilton was seconded from his regiment for a period of two years as its first chief game warden. He first visited towns near the reserve to explain the objects of wild life preservation before settling at a blockhouse on the Sabie River where Skukuza was later developed. Illegal hunting proved to be a major problem, but he resolutely enforced the poaching laws and after a senior police officer had been successfully prosecuted and fined in 1903 for shooting a wildebeest in the reserve, conditions improved. African hunters were also kept out of the reserve and the wanton cutting down of trees stopped. During 1903 an unsurveyed area nearly 15 000 square kilometers in extent between the Letaba and Limpopo Rivers was also declared a game reserve. Between the two reserves lay a block of farms in private hands, though no Europeans lived there. Largely at the request of the companies owning the farms, game protection was extended by the government over the whole block towards the end of 1903, thus creating a game reserve of some 80 by 450 km along the Mozambique border. At the end of his two year term Stevenson-Hamilton was recalled to England, but decided to give up his military career for a permanent appointment as chief game warden. By 1905 he had five European game wardens and 70 African policemen to assist him. At the joint meeting of the British and South African Associations for the Advancement of Science, held in South Africa in 1905, he described the game reserve, its history, administration and game. His paper, entitled "Game preservation in the Transvaal", was included in the Addresses and papers... published after the meeting and also published in a British journal. Soon thereafter he published "Notes on the Sabi Game Reserve" in the Transvaal Agricultural Journal (1906-1907, Vol. 5, pp. 603- and 866-). During 1907-1908 he presented pairs of tsessebes, blue wildebeest and waterbuck, as well as many smaller donations, to the Transvaal Museum. He became a member of the South African Ornithologists' Union in 1908 and subsequently published two papers in its Journal: "Observations on migratory birds at Komatipoort" (1909, Vol. 5(1), pp. 19-22) and "Notes upon some South African birds observed during a journey through Portuguese Nyasaland (July and August 1908)" (1909, Vol. 5(2), pp. 72-81). In 1909 he visited Britain and upon his return in 1910 collected wild animals to be presented to King George V. In 1912 he presented numerous and varied examples of freshwater fishes from the reserve to the South African Museum in Cape Town. During World War I (1914-1918) Stevenson-Hamilton saw active service in North Africa, for which he was awarded the Order of the Nile. In 1930 he married the wild life artist Hilda Cholmondeley, with whom he had two surviving children, a son and a daughter. Stevenson-Hamilton was keen to have the Sabie Game Reserve declared a national park and legislation to put this into effect was eventually passed in the form of the National Parks Act (No. 56 of 1926). On his recommendation the reserve was renamed the Kruger National Park, the borders of which were revised and established by the act. The park was opened to the public in 1928. Stevenson-Hamilton held the position of chief of the park to his retirement in 1946. "Under his supervision the small, neglected and war-ravaged Sabie Game Reserve expanded in stature and size so that by the time he retired, in 1946, it had become one of the great national parks of the world" (Carruthers, 2001, p. 1). He was an observant naturalist and an accomplished writer, who contributed much to the local development of nature conservation. 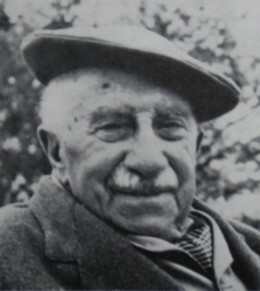 During his 44 years as a game warden he wrote several books on his observations and experiences: Animal life in Africa (1912, 539p, with a foreword by Theodore Roosevelt, former President of the United States); The Low-veld, its wild life and its people (1929); South African Eden, from Sabi Game Reserve to Kruger National Park (1937); and Wild life in South Africa (1947). The trees and shrubs mentioned in his books were identified at the National Botanical Institute in Pretoria, where some of his specimens are preserved, and by Miss Cythna Letty during a visit to the Park in 1934. He was elected a Fellow of the Royal Geographical Society and was awarded silver medals by the Zoological Society of London (of which he was a corresponding member) and the Society for the Preservation of the Fauna of the Empire. After his retirement he spent some time in Scotland but then returned to South Africa and settled in White River for the rest of his life. Honorary Doctor of Laws (LLD) degrees were bestowed upon him by the University of the Witwatersrand (1935) and the University of Cape Town (1945) for his contributions to the preservation of wild life. Carruthers, J. Wildlife and warfare: The life of James Stevenson-Hamilton. Pietermaritzburg: University of Natal Press, 2001. Colonel J. Stevenson-Hamilton. South African Biological Society Pamphlets, No. 19, 1957, pp. 45-46. Journal of the South African Ornithologists' Union, 1908-1909, Vol. 5. Stevenson-Hamilton, J. Game preservation in the Transvaal. Addresses and papers read at the joint meeting of the British and South African Associations for the Advancement of Science held in South Africa, 1905 (Vol. 1, pp. 350-368). Johannesburg: SAAAS. South African who's who, 1956. Transvaal Agricultural Journal, 1906-1907, Vol. 5, articles by Stevenson-Hamilton. Transvaal Museum. Annual Report for the year 1907/8. (National Archives Depot, Pretoria, Vol. TKP277). Union of South Africa. Report of the South African Museum for... 1910, 1911, 1912.